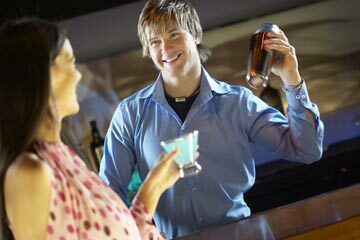 Professional Bartending School of Atlanta, Inc.
Bartending in Atlanta can be a tough world to break into. Corner bars with on-the-job training are few and far between. Indianapolis customers are more educated and sophisticated than ever before. They come from all over the world, they know about wine, they enjoy the scene and they have become more demanding. Atlanta customers are looking for a bartender who is as knowledgeable, as personable, and as demanding as they are. In this more professional bartending environment-if you’re not fast, organized, and efficient you surely won’t last very long in an upscale bar. Professional Bartending Schools of America has created bartending programs to answer the demand for professionally trained bartenders. We provide the bartending education, the speed, the organizational skills as well as customer service and alcohol awareness at our bartending school. Then we will follow up your training with our personalized job placement assistance program that is available to all of our Atlanta graduates. Take the time to check out all of our pages and then TAKE THE NEXT STEP! Request more information on our Atlanta, Georgia bartending school or call us today and we will show you how we can help you get started in your new bartending career in the greater Atlanta market!